Folks - we're delighted to announce that today we launched a groundbreaking study, in collaboration with our friends at Outsourcing Unit at the London School of Economics, to gain real insight into how business plan to adoption Cloud Business Services. When we spent time with Professor Leslie Willcocks and Dr Will Venters to discuss their research work with CERN and it's parallels with a Cloud business environment (see our recent blog interview), we realized the industry was in dire need of a definitive study that looks at how Cloud computing will impact the future of work for both business and IT professionals. Key dynamics being surveyed will include those aspects of Cloud that appeal to both business and IT professionals, inhibitors that are holding back adoption, current intentions and future plans, intended use of third party service providers and consultants, and determination of specific organization functions where Cloud will have the most impact. 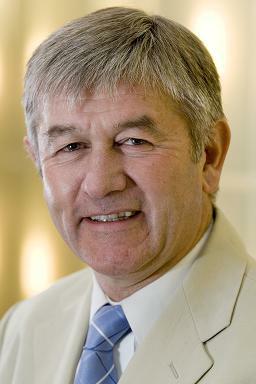 Professor Leslie Willcocks (pictured), Professor of Technology Work and Globalisation at the LSE, and renowned expert and author on global outsourcing and technology dynamics, is leading the initiative for the LSE. He added, “In our 2002 book Netsourcing, we predicted a strong move towards renting applications, services and infrastructure over the Net. It seemed to peter out with the bursting of the e-business bubble but in fact we are now witnessing the ten year convergence of streams of technology and capability that pose the question: how do we leverage this strategically for business advantage? That is one thing we want to investigate. The other is the longer game – is this going to be a dominant trend, the only game in town, or, if not, what sort of hybrid futures are likely?" HfS is inviting readers to take 10 minutes to complete our online survey. Respondents will receive a report on the report findings, co-written by both HfS Research and the LSE study teams.